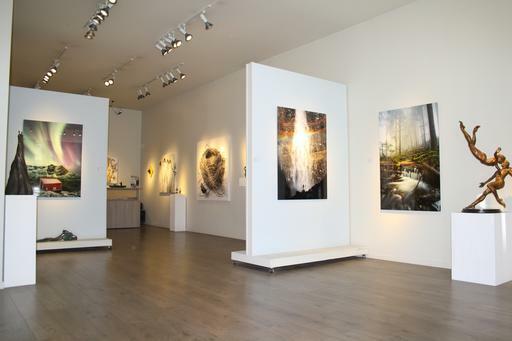 Kurbatoff Gallery opened its doors in the heart of South Granville Gallery Row in 2002. Representing some unique talents, we are committed to the promotion of contemporary Canadian artists, from emerging and mid-career to well-established. The most important criterion of the selection is a high level of mastery combined with distinctive vision which brings thought and soul in a work of art and makes it truly original. The Gallery offers a thoroughly selected, diverse collection of contemporary paintings, sculptures, and photography, and provides consultations to individuals and corporate clients in order to find the right place for every work of art. Services include delivery throughout the Greater Vancouver, professional packaging and shipping worldwide. We are looking forward to seeing you in our gallery on South Granville, at the "Destination Number One" for art in Vancouver.